I met with Transformational Breath, in 2011, and my life changed. I was going through serious physical challanges when I met Transformational Breath. I had already been operated three times. When I had the same issue coming up for the forth time, I finally realised this is not something I can simply get "cut out and removed from me"; as long as I kept feeding it from inside, it would continue growing in me and keep coming back. I am so happy to say, since I started with Transformational Breath, I never had a "come back" again… That may sound like a miracle to many people, but since I started with Transformational Breath, I am experiencing my miracles everyday in my life. As I continued to walk on ‘my path’, I have found myself doing all the trainings/courses that came along the way, and that’s how I stand where I am now. 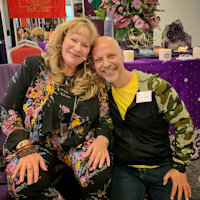 I am so happy and grateful that Transformational Breath came on my way, and I met Judith, who has been such an immense source of love and joy and support. 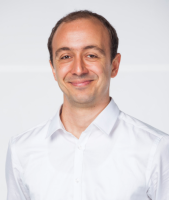 Deniz is an Industrial Engineer who worked for many multinational companies in four different continents. After the birth of her first son and having some health issues, she had to pause her career as a management consultant. In the meantime she met Transformational Breath, and as she describes above, her life changed. She is proudly and happily working as a member of the Transformational Breath Family to fulfill her missoin of, as she believes, helping the society realize the importance and the power of breath and inspiring and diverting others to discover their own true power. I Discovered Transformational Breath® for the very first time in 2013, through my personal search about my spiritual growth. After this amazing first experience, Quickly I knew that I could achieve quite a lot of personal and professional growth with this technique. My breath has given me so much freedom and it has enabled me to live truly who I really am in this life. It has become my mission to guide others in finding the strength in their own breath and personal growth. I discovered Transformational Breath® in 2007 and after my second session I became convinced and commited to practice this technique until the day I take my last breath. I completed my facilitator trainings in 2010 and became a certfied trainer in 2016. I work with kids and adults individually or in small groups and offer workshops. What I love most is to see people get in contact with their own truth. Their authenticity, inner harmony and wisdom emerges from their own breath. They deepen and improve quality of the relationship they have with themselves. Seeing this permanent shift in people facinates me and fills me with gratitude! Transformational Breath®; The Work of Byron Katie. I was born into a world where the woman and the girl child did not get much respect and appreciation. I had many challenges during my childhood through my parents, sisters, relatives, teachers and neighbors. During my adolescence, I did not know that I was completely avoiding, ignoring my emotions. I always felt not belonging to anywhere. I was having trouble in my relationships with men. Being an engineer, I trusted my mind and what it says was true. I was believing all of my stressful thoughts such as "I am ugly", "I am not lovable", "There is no one in my life to support me ". I had lots of anger (towards the world, God, the people) which was suppressed in me. It was easy for me to lose my temper. I had a huge longing to be able to fulfill the emptiness in me. Nothing was enough. I had my own company, a nice home, car, and a good income, but still there was something missing. This longing brought me to the Breathwork and I became a Trainer for Transformational Breath®. I am also a Certified Facilitator of the Work of Byron Katie®. Here I am today, being in love with this beautiful soul. I am not my hair, my looks, my thoughts, my body anymore. Freedom is such a great gift Transformational Breath® gave me. I am delighted to share my experiences and to be at your service if / when we meet. 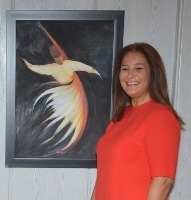 "On May 2007 she was introduced to Transformational Breath by the instructer Miss Nilgül Tavsel. She has experienced a difference in her life by taking correct breathing. She has developed creativity only by breathing correctly. Breathing brought her life peace, calmness, and health. More love and happiness started to flow into her life. She finished her education in 2008 and took her certificate in 2009. 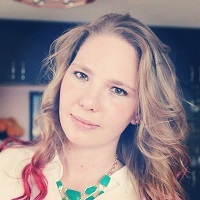 Her life purpose is to share breathing knowledge with people who love and who are in need to learn. Sadece deneyimlemek için gittiğim Transformal Nefes seanslarında fark ettim ki yaşadıklarımın bende yarattığı en olumsuz duyguları ustaca gömme becerimi bana bir şey olmaz, hemen geçer, üzülüp bir kenarda kalamam savunmalarımı “Ağaçlar Ayakta Ölür” sözüyle de bir güzel perçinlemişim. Nefesle geç bunların içinden dediler koçlarım bende geçtim. Kendi cennetimde yaşarken buldum kendimi. 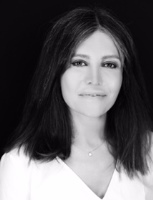 Dr. Judith Kravitz & The Transformational Breath Foundation tarafından verilen Nefes Koçluğu eğitimlerim sonucunda sertifikalı Transformal Nefes Terapisti olarak hizmet vermeye başladım. Bana yeniden ben olduğumu hatırlatan Transformal Nefes Ailesinin bir parçası olduğum için mutluyum. Dancer & Dance Teacher, Certified Transformational Breath Group Leader, Certified Massage Therapist, Certified Dance-Movement Therapist. 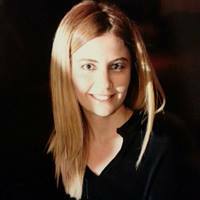 After her graduation in Public Relations in Istanbul University she worked 20 years in textile branch. 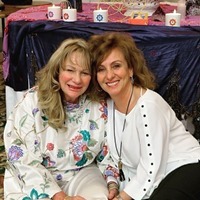 Banu has begun to work on herself in 2005 with astrology, tarot and reiki. In 2008 she visited Seminar and decided to be a Facilitator. In 2015 after retirement she left the business life and works full time for Transformational Breath. She believes in Breath and its miracles, so the transformation that comes with Transformational Breath is the meaning of life for her. After 17 years in coorparate life I have became a Certfied Facilitator who has also trained to become a Transformational Breath Trainer. For over 20 years, I have been in spiritual journey, learned about and practiced many teachings. I felt by heart that I found the real purpose of my life when I first met with Transformational Breath®. It changed me and my life, and as my life changed, my environment changed all with love and abundance. I became a Transformational Breath Group Leader and my journey continues. I’m so happy to have found the joy of my life with TBr, to be able to touch other people’s lives in a similar positive way and help who are in search of their own path to get healed, to open their hearts and souls. 1987 Adapazarı doğumluyum. Lisansımı Yeditepe Üniversitesi Mimarlık, Yüksek Lisansımı Brunel Üniversitesi Marka Tasarımı ve Stratejisi bölümlerinde tamamladım. Şu anda tasarım ve marka alanında girişimci olarak çalışmaktayım. Çocukluk yaşlarımdan hatırladığım; çevremde algıladığım şeyleri farklı düşünebilme ve yeni fikirler geliştirme içgüdüm tasarım alanının içinde kalmamı sağladı. Buradan başlayıp tüm hayatıma rehberlik eden temel; rüyalarımdan aldığım ilhamin en iyi teknik ve bilgi ile buluşarak dokunduğum her alana mutluluk olarak yayılması oldu. Sahip olduğumuz mutluluğun tasarlanabileceğine olan inancim, zaman içinde beni daha da özgürleştirdi. Nefes çalışmaları ile, dengede huzur ile kalmanın dış dünyadan bağımsız, kendi içimde başladığını farkettikten sonra koç olmaya karar verdim. Bir bütünün parçası olarak eşsiz ve özel varlığımız ile bu dünyayı deneyimlemek isteyen herkese nefes ile dokunabiliyorum. Bu yolculuk, mutluluğu tasarlama sürecimin ayrılmaz bir parçası oldu. Esra was born in Istanbul. She found Transformational Breath in April 2006 while she was playing the reed flute. She has always believed that God is the Breath. The way goes the God is equal to creativity that will be made and Creation has already made. 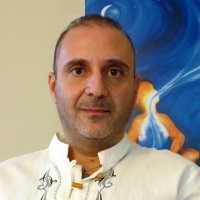 Esra has been doing energy work such as Tetha, Reconnection and Kuantum besides breathwork. Her mission is to enable people to hold on to what they rightfully deserve. 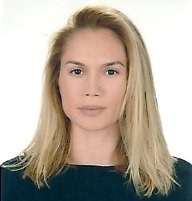 Ceyda was born in Turkey in 1975. She lives in Nisantasi, Istanbul. 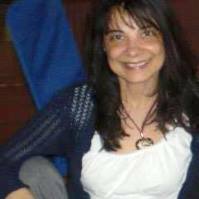 She has been practicing Reiki for 4 years and participated in many self-healing workshops until she met with Transformational Breath in early 2006. 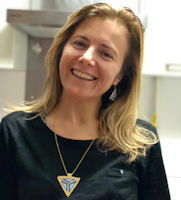 She says, "I made a connection between my mind, body and soul for the first time in my life and that was when I had decided to became a facilitator and share with the others what the breath can bring in our lives.". She has been in the corporate life almost for 10 years and now enjoys the balance between her corporate life and the breathwork. İstanbul doğumluyum. Yarı Amerikalıyım. Bilkent Üniversitesi İşletme Bölümünü bitirdikten sonra, Tampa University'de Görsel Sanatlar Ve Reklamcılık üzerine eğitim aldım. 15 sene özel sektörde yönetici olarak çalıştım. 2009 yılında Amerikalı Metafizik Doktoru Judith Kravitz'in geliştirdiği Transformational Breath(TB) Nefes Tekniği ile tanışmamla başlayan yeni bir yolda, TB Nefesi ve kişisel gelişim konularında eğitim gördüm. 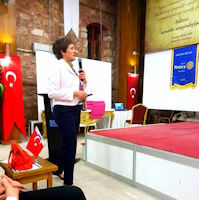 (Yaşam Koçluğu, TB Nefesi, Theata Healing(Basic DNA, Edvence DNA, Manifesting and Abundance, bolluk ve bereket), Reiki). Psikologlar ve Psikyatristler Derneği'nden psikoloji üzerine eğitim almaktayım. 2014 yılında yerleştiğim, Antalya'da TB Nefes Koçluğu yapmaktayım. 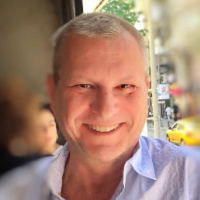 Levent Gunaydin is a talented marketing professional with 20 years of experience in various corporate and business related areas. Recently, working freelance as Transformational Breath Facilitator. Also certified Advanced ThetaHealing® Practitioner as well as Reiki Art Master. 1974 yılı Mayıs ayı doğumluyum. Hacettepe Üniversitesi muhasebe bölümü mezunuyum ve İstanbul’da yaşıyorum. Yaklaşık 20 sene Kurumsal şirketlerde yöneticilik yaptım. Kariyer peşinde koştuğum yıllar içerisinde iş hayatının zamanla yarışan stresli anları ile özel hayatın çalkantısı birbirini kovaladı. Yaşanan acılar, yoğun iş stresi, biten aşklar ve en önemlisi aile içinde sevdiğim kişilerin sırayla ölümlü kayıpları ile birlikte hayata dair çocukluğumda var olan ama zamanın koşturmacasına kapılıp unuttuğum müthiş sorgulamalarım başladı. Hayat amacım kredi ödemek, ev-araba almak olabilir miydi? Sevdiğim insanlar sırayla ölüyordu. Ölüm neydi benim için? Gerçekten yaşamın son noktası mıydı ölüm? Sevdiklerimiz öldüğünde özlem nasıl dinecekti? Gerçekten ben kimdim ? Ne idim? İçimde sürekli eksik bir yanım vardı? Ve O ne istiyordu benden? Dışarıda hiçbirşeyi değiştiremeyeceğimi asıl değişimin içeride olduğunu ve dönüşümün özümden geleceğini anladım. Aslında acı verdiğini düşündüğüm, tüm bu deneyimler benim hediyelerimdi. İstanbul Ataşehir’de bulunan ofisim Studio nefes’te 2 senedir bireysel ve grup seansları vermekteyim. Bunun haricinde halan kendime olan yolculuğumda farklı alanlarda pek çok eğitimlere ve inziva kamplarına katılmaya, değişip dönüşerek yolculuğuma devam etmekteyim. Bu yolculukta, yolu benimle kesişen ve kesişecek olan herkese şükran ve aşk ile. Healing service : Transformal nefes Koçu & Grup Lideri, Access The Bars Uygulayıcısı, EFT ( Emotional Freedom Tecniques, ATON Enerjisi uygulayıcısı. English, Turkish, Dutch, French, a bit of German. Transformational Breath®; Breathing with Kids Life Coaching. I've met with Transformational Breath in 2006. After my first session I realized the power of breath, and I decided to share this technic with people. I met with Transformational Breath in 2005. When I experienced this powerful practice, I decided to specialize in it and became a Trainer. I believe that the heart is the key to a person's soul. Once your heart opens up, it allows for your operating system to function the way it should; being a channel for divine love, creative energy and abundance. Transformational Breath will enable you to open your heart. In addition to this powerful practice, I lead meditation groups regularly. I have also been a writer in Milliyet.saglık.com since 2011. 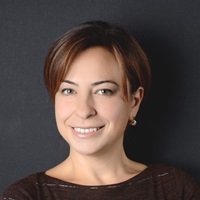 After her graduation from Department of Economics at Uludag University, Duygu had a 14 year-long business career in the fields of marketing, sales, public relations and corporate communications. 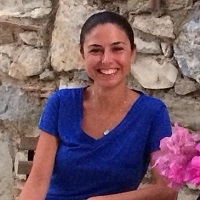 Duygu's inner journey started during her New York days where she studied and worked for two years. There, she focused on holistic studies based on body-mind-spirit alliance and interdependence. I was born in Istanbul in 1968. I am an electrical engineer. I have been working in information technology for 20 years. In 2005, I started to focus on my personel development, in order to have a more satisfying and happy life. I began training at Kuraldısı. Training at the Kuraldısı was sort of the beginning of my journay. I finished Life training. I met Transformational Breath in 2007 and my life has changed. I started loving and understanding myself more than ever. Actually, I have found my mission. This method helps me to increase my healing energy and to have a better life. Now I am sharing my experience with the people who have the same mission as me and I can easly touch people's lives. I had my most precious treasure. I completed my Transformational Breath coaching training in 2008. I am also an expert in other methods such as NLP, EFT, psycho kinesiology master, Reiki. 1977 Bulgaristan doğumluyum. 2000 yılında İ.Ü. 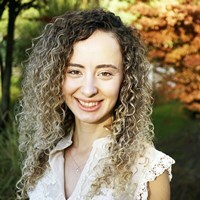 Kimya Mühendisliği bölümünden mezun olduktan sonra UC Berkeley Extension dan Uluslararası İşletme sertifikası alıp iş hayatına atıldım. Halen özel bir şirkette çalışmaktayım. Transformal Nefes ile 2010 yılında nefes alış kapasitemi artırabilmek için yoga hocamın tavsiyesi ile tanıştım. Hayat beni yoğun olarak öğrenme fırsatı sunan deneyimlerden geçirirken Transformal Nefes tekniğini uyguluyor olmak bana huzuru, dinginliği ve farkındalığı getirdi. Şimdi dolu dolu nefes alabildiğim için şükrediyorum. Transformal Nefes Koçluk ve Eğitmenlik eğitimini alıp beden zihin ruh bütünlüğünü yaşamak isteyen kişilerle nefesin mucizesini paylaşıyor olmak bana mutluluk veriyor. I was born in 1977 in Bulgaria. After I graduated from Istanbul University in 2000, Chemical Engineering, I earned an International Business certificate from UC Berkeley Extension. Then I attended to business life and still work at a private company. After I noticed my shallow breath, a yoga teacher recommended me to take Transformational Breath sessions which I began in 2010. This technique helps me to find strength, peace, and awareness while life serves its more teaching experiences. Now I am so thankful that I breathe fully and freely. Life also gave me the opportunity to share these lovely techniques with people who would like to remember and experience physical, mental, emotional, and spiritual wholeness. I took my Facilitator Training in Istanbul and my Teacher Training in New Jersey USA. Let joy be with you! 1985 İzmir doğumluyum. Bilkent Üniversitesi Endüstri Mühendisliği mezunuyum. Şu anda uluslararası bir şirkette, marka yöneticisi olarak çalışmaktayım. Her çocuk gibi, çocukluğumda hayal dünyam oldukça genişti. Kurduğum dünyalarda herşeyin bir çözümü, bir oluş şekli vardı. Doğayla konuşur, bana sihirli kokular yapmamda yardımcı olması için yardım isterdim. Şampuanlardan yaptığım bu karışımları, dünyanın en büyük sırrına sahip olmanın verdiği mutlulukla gizlice etrafımdaki kişilerle paylaşırdım. Benim için hayat aynı masallardaki gibi kolay ve akışkandı. Yıllar içerisinde hayal etmeyi bıraktığım ve “Ben” olmayı yavaş yavaş yitirmeye başladığım zamanlardan birinde Transformal Nefes ile tanıştım. Nefes, “Ben”de olanı bana geri verdi. Yaratıcılığın sınırsızlığını, hayallerin dünyasını ve içsel gücümü yeniden keşfetmeme vesile oldu. Hayalim, hayatın renklerini keşfetmek isteyen herkese nefes aracılığıyla ulaşabilmek. Sermaye piyasalarında yaşanan 18 yıllık yoğun ve stresli bir dönemin sağlığımı etkilemesi sebebiyle girdiğim arayışlar sonucunda Transformal Nefes®'le tanıştım. Yaşadığım dönüşüm süreci o kadar etkileyici ve şifa doluydu ki, bu süreci herkesle paylaşma konusunda büyük bir heyecan duymaya başladım. 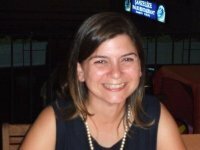 Dr.Judith Kravitz ve kıdemli eğitmenlerden koçluk ve eğitmenlik eğitimleri alarak bu tekniği hayatımın vazgeçilmez bir parçası haline getirdim. Şu anda Ankara ağırlıklı olmak üzere bireysel ve grup seansları yapıyor, hafta sonu workshopları düzenliyorum. Alev was born in Istanbul in 1968. She is a Mathematics Graduate and has been a Licensed Insurance Agent practicing professionally since 1990. She has also attended various Personal Growth Workshops and Courses including but not limited to Practising Reiki 1. She was first introduced to Transformational Breath in 2005 and was instantly impressed with the effectiveness of its self-healing benefits. She says, "The results I have experienced in my personal life as a result of Transformational Breath were an increase in my energy levels, relaxation, and especially a general feeling of well-being and happiness. Transformational Breath has become a way of living for me. I now see people from a place of Joy and Love. My mission is to guide and to assist children and adults as they seek to find a way of improving their lives and live Joyfully with the power of Breathing." 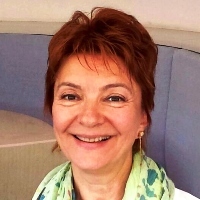 Under the tutorship of Dr. Judith Kravitz, she received the Facilitator's Training in Italy and Turkey and the Trainer's Training in Holland. Transformational Breath is not a phenomenon! It is a way of life! I invite You to join me in assisting you in achieving your full potential and live your life in Joy! 1970 yılında Ankara’da doğdum. Eczacılık Fakültesinden mezun olduğumdan beri ilaç sektöründe, satış pazarlama alanında çalıştım ve halen devam ediyorum. Hep psikoloji ve insan davranışları ile ilgili konulara ilgi duydum. Son 10 yıldır hayatta tek başarı ölçütüm mutluluk. Değiştiremeyeceğim şeyler için enerjimi harcamayı bıraktığımdan beri hem kendimle hem de çevremdekiler ile ilişkilerim değişti. Transformal Nefes® ile hayatımda her şeyin yolunda olduğu bir zamanda tanıştım. O zaman anladım ki bu dünyada varoluş sebebimiz beden ve zihnimizi, ruhumuzun mutlu olması adına eğitmek, geliştirmek. Yaşamım boyunca hep başkalarının mutluluğundan sorumlu olduğuma inandım. Nefes sayesinde artık biliyorum ki sadece ben mutlu olursam etrafımdakiler de mutlu olabilir. Ruhumu mutlu eden bu tekniği sevdiklerimle paylaşabilmek için Transformal Nefes® koçu oldum. Dönüşümün/değişiminin garanti olduğu bu teknikle tanışmak isteyen herkes ile çalışmak çok keyifli. Bir gün sizinle de tanışmak ve nefesinizle dönüşümünüze katkıda bulunmak dileği ile. 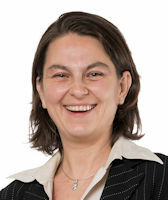 Sevgiyle kalın. Since 2007 I am a member of the Transformational Breath family. My aim is to share this wonderful method all over the world. 1979, İzmir doğumluyum. Ege Üniversitesi, İletişim Fakültesi mezunuyum. İzmir Ekonomi Üniversitesi, Avrupa Çalışmaları yüksek lisans programını bitirdim. 10 yıl özel sektörde çeşitli alanlarda çalıştım. Transformal Nefes Workshop Lideriyim. Bireysel seanslar yapıyor ve workshop çalışmaları düzenliyorum. Transformal nefes hayatıma bir tesadüf sonucu girdi. Albert Einstein’ın çok sevdiğim bir lafı vardır. Tesadüf diye bir şey yoktur. Mükemmel rastlantılar vardır. Transformal nefes benim hayatıma bebek sahibi olma arzumla birlikte girdi. Hamile kalamamam bende değersizlik ve kayıtsız kalamadığım bir başarısızlık hissi yaratmıştı. Kendimi mutsuz hissediyordum. Tesadüfen gazetede nefes çalışmaları ile ilgili yapılmış bir röportaj okudum. O an içimde nefes seanslarına katılma isteği uyandı. İlk Transformal nefes seansıma katıldığımda kendimi inanılmaz enerjik, rahatlamış ve gevşemiş hissettim. Hayatım, 2010 yılında deneyimlediğim ilk seans itibariyle değişmeye başladı. Katıldığım nefes çalışmaları benim, başarısızlık, mutsuzluk, korku ve endişelerimi yenmemi sağladı. Hayat bazen karşımıza o an bize çok büyük gözüken sorunlar çıkarabilir. Önemli olan sorunu kabul edip ilerlemektir. Transformal nefes bana kabul etmeyi ve ilerlemeyi öğretti. Bilinçaltımdaki rahatlama her alanda olayları farklı açılardan değerlendirebilmemi ve dengede kalmamı sağladı. Şu an üç harika çocuğa sahibim ve bunu da biraz bilime ama daha çok Transformal nefese borçluyum. Pek çoğumuz büyük bir stres altında yaşarken, hayatın güzelliklerini fark etmeden ömrümüzü tüketiyoruz. Hayatın gerekliliklerini yerine getirmeye çalışırken ruhumuzun ne istediğinin farkına varamıyoruz. Transformal nefes; insanın, fiziksel, zihinsel ve ruhsal anlamda rahatlamasını sağlar. Kendinize bir iyilik yapın ve hayatınızı iyileştirecek bu deneyimi en kısa sürede kendinize hediye edin. Transformal Nefes Vakfı'nın Türkiye Ülke Temsilcisi olan Kıdemli Eğitmen Nİlgül Tavsel 2005 yılından beri gerek yurt içinde, gerekse yurt dışında eğitimler vererek sisteme hizmet etmektedir. İstanbul Üniversitesi sosyoloji bölümü mezunu olan Nilgul Tavsel yan dal olarak psikoloji ve felsefe bölümlerinden mezun olmuştur. Daha sonra İngiltere'de İşletme masterı yaparken çok genç yaşta kişisel gelişim yolculuğuna başlamıştır. Uzun yıllar yurt dışında yaşamış olan Nilgül 30 yılı aşkın zamandır Doğu kökenli mistik anlayışlar, tamamlayıcı tıp, Reiki ve Yaşam Koçluğu dallarında eğitimler almış, kişisel gelişim ve şifa alanlarında uzmanlaşmıştır. 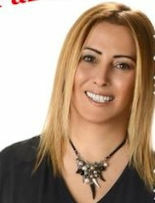 Nilgül is a Senior Trainer and TBF Country Liaison for Turkey. She was born in Istanbul, Turkey. She has studied sociology together with philosophy and psychology at the university. She has been practicing self-healing techniques since 1985. 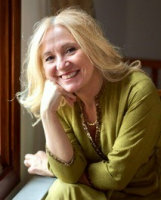 She is a Follower of Rumi, Reiki Master, CTI Professional Coach, Holistic Living Coach. She says, "I have understood the power of breath from my first breath session and since then, Transformational Breath has become my main tool for both my personal and clients growth and transformation and my admiration of the Transformational Breath technique has been increasing more and more with every breath session I experience." Having graduated from Boğaziçi Univ. Sociology department, I then went on to do my Exec. MBA, after which I worked as a senior consultant and partner at the İstanbul branch of an international consultancy network for many years. My inner journey started with breathwork. Then came trainings from well renowned teachers, while simultaneously carrying out my work as a Transformational Breath Facilitator. My road led to Reiki, Shiatsu and Chi Gong sharings, Theta Healing, ATIH-Merkaba teachings and Shamanic energywork. I completed Transformational Breath Trainers Training with Dr. Judith Kravitz in Nov 2016. I participate in practices and retreats throughout the year and love to travel. Onward with inner and outer journeys. I'm here to channel and inspire others towards a change of perspective and discovery of their own true power. I am grateful for all the sharing space. I am grateful for my beautiful children and family. 1964 yılında 5 çocuklu bir ailenin en küçüğü olarak İstanbul da doğdum büyüdüm. Moda Kız Meslek Lisesi Çocuk Gelişimi mezunuyum. 36 yıllık evliyim, bir kızım ve bir oğlum var. Çocuklarımın yetişmesini takiben iş hayatına başladım. Halen Özel bir şirkette Genel Müdür olarak çalışmaktayım. 2005 yılında kişisel gelişim yolculuğum başladı. Özellikle liderlik eğitimi ve yaşam koçluğu bana farklı bakış açılarından bakmayı öğreterek iletişimimin güçlenmesini sağladı. Kişisel gelişim adına attığım bu adımlar 2010 yılında Transformal Nefes® ile anlam kazandı. Nefesin hayatıma girişi, hayatımın her alanında keyifli olduğum bir zamanda doğru nefes almayı öğrenmek istemekle başladı. 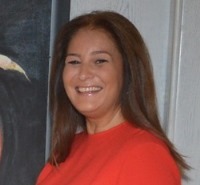 Dr. Judith Kravitz’in sadece nefesime sahip çıkarak nasıl daha neşeli, sağlıklı ve coşkulu olabileceğimi öğretmesi sihir gibiydi. Nefes artık hayatımın bir parçası olmuştu. Varlığım, karakterim, mesleğim ve hayattaki misyonum beni Transformal Nefes® koçu olmaya yönlendirdi. Dr. Judith Kravitz & The Transformational Breath Foundation tarafından verilen Nefes Koçluğu ve ardından Eğitmenlik eğitimlerini aldım. 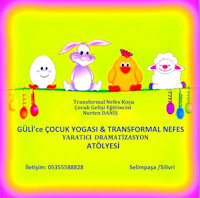 Transformal Nefes® Eğitmeni olarak bireysel ve grup çalışmaları yapıyorum. Danışanlarıma doğru nefes almayı öğreterek, fiziksel, zihinsel, duygusal ve ruhsal temizlik sağlamalarından ve bu sayede farkındalıklarının üst düzeye çıkmasıyla oluşan mucizelere tanık olmaktan keyif alıyorum. İlk nefesimizin ne kadar önemli olduğunu anladığım anda, bütünsel bir doğum desteği ve doğuma hazırlık rehberliği için eğitim aldım. Artık İçsel Doğum Rehberi olarak tüm anne baba adayları ve doğuma destek olacak sağlık çalışanlarına eğitim vermekteyim. Ayrıca öğrendiklerimi çeşitli yardım kuruluşlarında özveri ile paylaşmayı da ödev bildim. 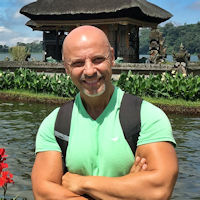 Reiki, pranik şifa, theta healing, bars da kullandığım enerjisel tedavi araçlarındandır. Transformational Breath®; Psychology and psychotherapy. 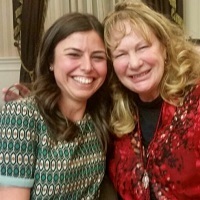 Elif is a Certified Transformational Breath Facilitator who completed all of her training with Judith Kravitz, Founder of the Transformational Breath Foundation. 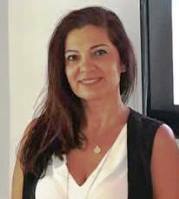 Elif, who is a senior consulting psychologist and psychotherapist, believes that one session of breath work is equivalent to a year of therapy. 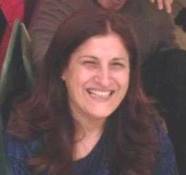 In the last 16 years Elif has been working in the National Health Services with adults suffering from various mental health problems. 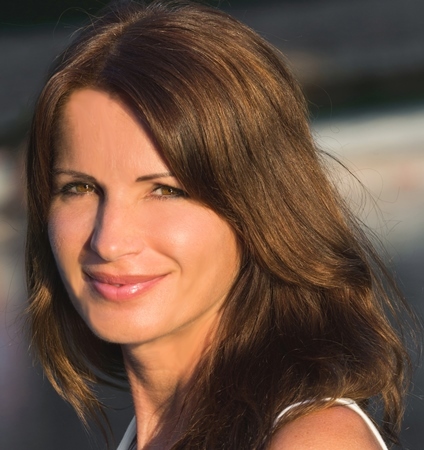 She has used a range of psychological therapies, namely Psychodynamic Psychotherapy, Cognitive Behavioural Therapy (CBT), and EMDR (Eye Movement Desensitisation Reprocessing). Her experience has given her deeper understanding and appreciation of just how powerful the transformational breathwork is. She was excited to see that the simple tool of conscious breathing helped empower clients to understand and challenge their dysfunctional core beliefs and behaviour within a short time period without needing to talk. The training as a yoga teacher in 2004 made her deeply aware of the mind/body connection. 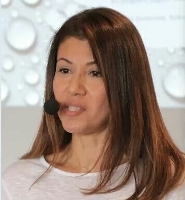 In addition to breath, Elif is also now using yoga in her personal and professional practice to promote psychological and emotional integration, so that her clients can begin to change their lives and the way they relate to emotions and bodies. Transformational Breath® private sessions & group sessions up to 3 people; Theta Healing. 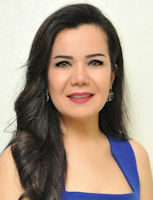 Muge was born in Istanbul, Turkey. 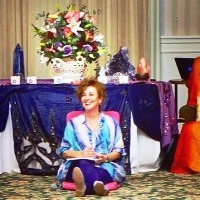 She first came to the breathwork on her own healing journey in 2010 in Turkey. After experiencing healing and transformation herself, she decided to become a Facilitator. 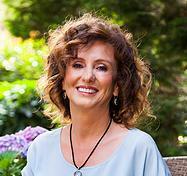 She became a Certified Transformational Breath Facilitator in 2014. After she moves to UK in 2018, she looks forward to continue nourishing and touching lives now through Transformational Breath in there. Muge also provides breathwork in Turkey, Istanbul. 550-850 saatlik bir eğitimi tamamlamıştır. Bir misyon ve amaç doğrultusunda tutkuyla çalışırlar. Nefes Koçu bulamadınız mı? Bize Ulaşın.